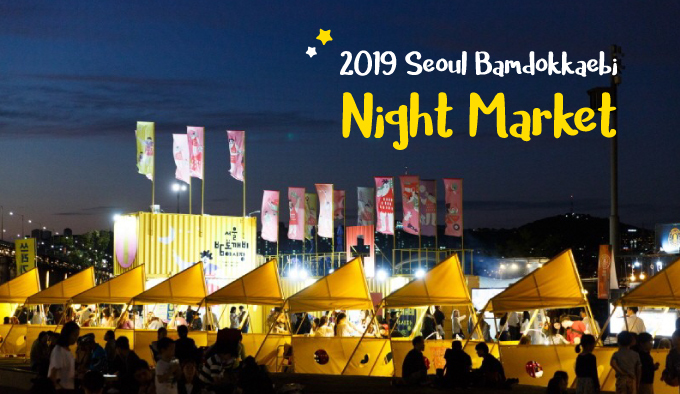 Seoul Bamdokkaebi Night Market, a representative tourist destination in Seoul, will be open every Friday, Saturday, and Sunday from April 5 (Fri.) until October 27 (Sun.). While the market opened in five locations last year, it will open in six areas this year, including at the Christmas Market. Each location will operate a program with thematic merchandise and performances tailored to reflect the specialties from each neighborhood. The Market will be open in Yeouido, Banpo, and DDP starting on April 5 (Fri.), and Cheonggyecheon Stream (from Mojeongyo Bridge to Gwanggyo Bridge) starting on April 6 (Sat). The Mapo Oil Tank Culture Park will open the Market in May, while Christmas Market is scheduled to open in winter. This year, Seoul Bamdokkaebi Night Market will have a different special theme at each location, such as “Global,” “Nightscape and Fountains,” “Romance and Art,” and “Travelers.” Visitors can enjoy various spectacles, including various cultural performances, traditional performances from various countries, and magic shows. Yeouido Hangang River Park (Cascade Plaza) World Night Market One-Night Trip Around the World at the Hangang River Every Fri. & Sat. 6-11 p.m.
(Moonlight Square) Romantic Moonlit Market A Market of Nightscape and Fountains, Romance and Art Every Fri. & Sat. 6-11 p.m.
(Palgeori Plaza) Youth Runway Market A Design Market Where Young Senses and Ideas Meet Every Fri. & Sat. 6-11 p.m.
(Mojeongyo Bridge to Gwanggyo Bridge) Time Tour Market A Korean-Style Market in Downtown Seoul Sat. 5-10 p.m.
(Culture Plaza) Season Market A Bamdokkaebi Night Market with Cultural Events in May Every Sat. & Sun. 4-9 p.m.
City Hall Square Christmas Market Special Christmas Market in the Winter Weekdays 5-10 p.m.
Stores will be categorized into two groups: stores that sell handmade products and stores that offer experience programs. Food trucks, a popular symbol of the Bamdokkaebi Night Market, will stimulate visitors’ appetite offering a variety of foods, including homemade burgers, steak, sushi, churros, and other desserts and beverages. Credit cards will be accepted at every store in Seoul Bamdokkaebi Night Market. Starting this year, visitors may also use “Zero Pay,” a convenient payment service that reduces the transaction fee burden that small businesses often face. The schedule above may be altered due to the bad weather or particulate matter, so please visit the official website (https://www.bamdokkaebi.org) or Facebook (https://www.facebook.com/bamdokkaebi) to check for scheduling changes.